Are you tired of feeling like you don’t get enough sleep? Learn how to train yourself to go to bed earlier! If you’ve had a recent schedule change which requires you to get up earlier, or are simply trying to catch up on some much needed sleep, it can be difficult to train our bodies to get to sleep earlier. Watching the minutes tick by as you try to fall asleep can be frustrating and counterproductive to getting the quality night of sleep you need. Here are a couple of tips from the National Sleep Foundation to help. Workout earlier in the day. Getting to sleep earlier also raises the question: how much sleep is enough? As we age the amount of sleep we need on a nightly basis changes. 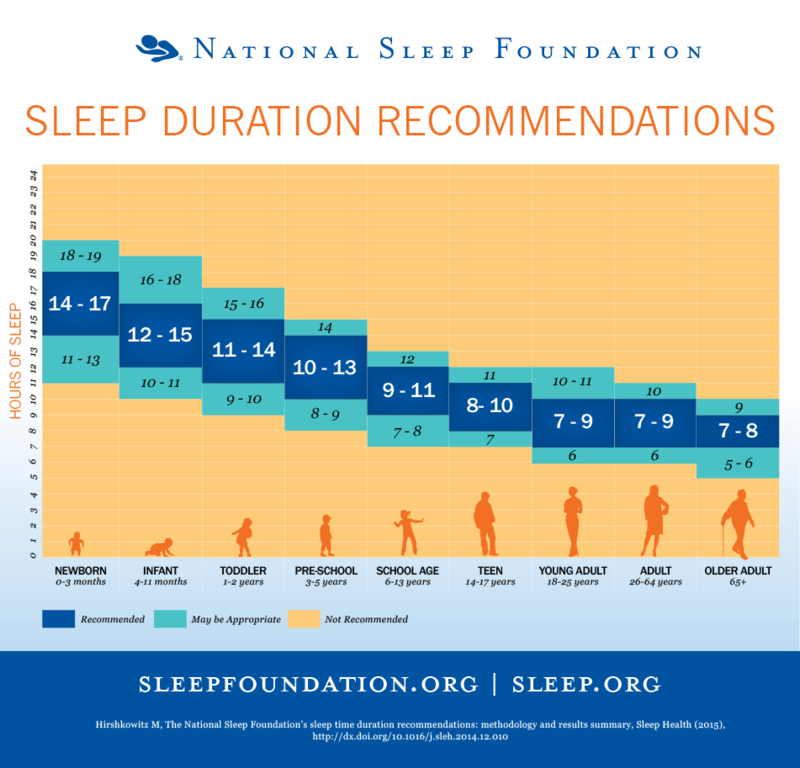 Take a look at the National Sleep Foundation’s Sleep Duration Recommendations chart to find out how much sleep is recommended for your age group. Are you getting enough sleep each night? Sleep Awareness Week 2017 is well underway and we hope that you will continue to check back for more ways to Sleep Better, Feel Better.